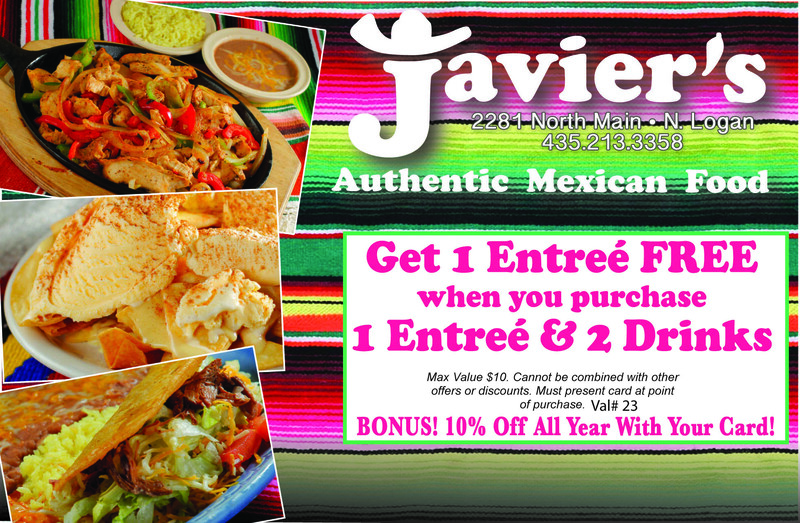 Purchase 1 Entrée and 2 Drinks, Get 1 Entrée FREE (val#23. Max val $10) 10% OFF All Year with Card. Cant be combined with other offers. Must present card at time of purchase.